The Coolest Event I’ve Ever Attended. We’ve all been there. Pushed up against some sweaty drunk dudes armpit, while trying to enjoy our favorite musician play the songs we love to hear. Weaving through crowds of people, all trying to pretend they are far “cooler-than-the-next person”, as they radiate towards the bar like a zombie hoard – and completely miss the music they came for. This is something I’ve experienced far too often at shows in the past, but it was far from what I experienced on Friday night at the Kid Koala “Space-Cadet Headphone Experience” at the Canadian Museum of Aviation in Ottawa.Upon arrival, I noticed an eclectic mix of people, spanning all ages and styles, interspersed across a plethora of art and sound devices. There was a range of turntables, vocoders and wacky synthesizers in the shape of cockpits, alongside raffles, games, and a place you could turn your face into a meteor – later used in the show. As I explored the “funjects” [objects that are fun], Snailhouse played the opening set in the background. 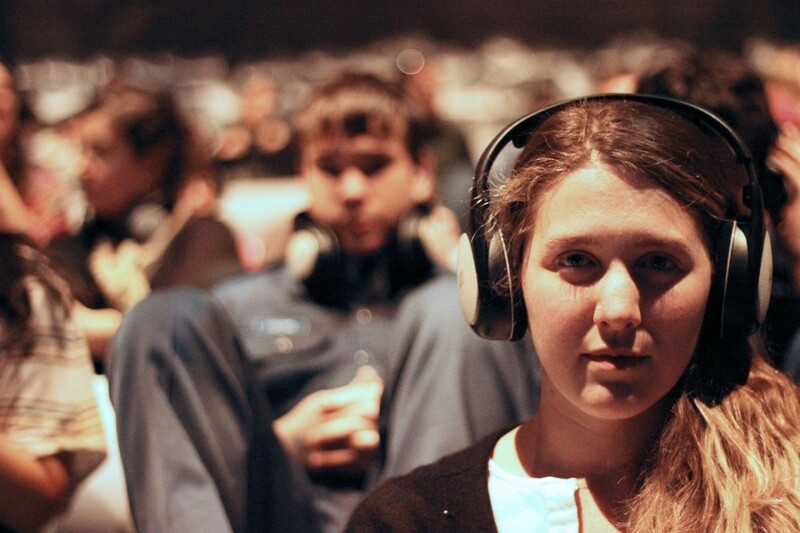 We were then given Sennheisner headphones, motioned into the theater and seated in tiny “space pods” – [ side note: I probably should have worn sweatpants and not the skinniest pair of jeans I own, but I digress]. Kid Koala took the stage, accompanied by his daughter, Maple, sitting contently in the chair beside him. Then, with a giant smile, Kid Koala proceeded to blow every mind in the crowd, as he performed a magic show on his turntables that would make David Copperfield green. It is incredibly rare for a musician to give so much of themselves to the audience. 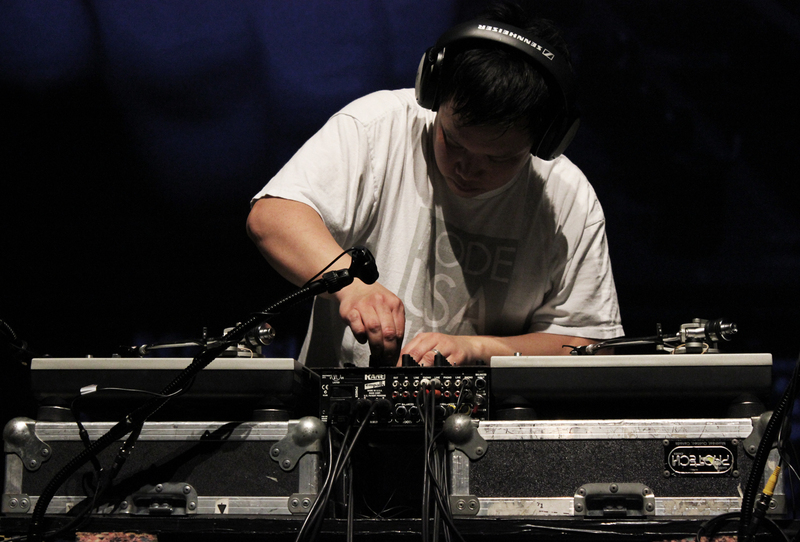 While most Dj’s and musicians stand on stage trying to act as cool as humanly possible, Kid Koala appeared with no pretense; more like a friend – sitting in his living room – doing what he enjoys doing most. This was what made the show such an awesome experience. 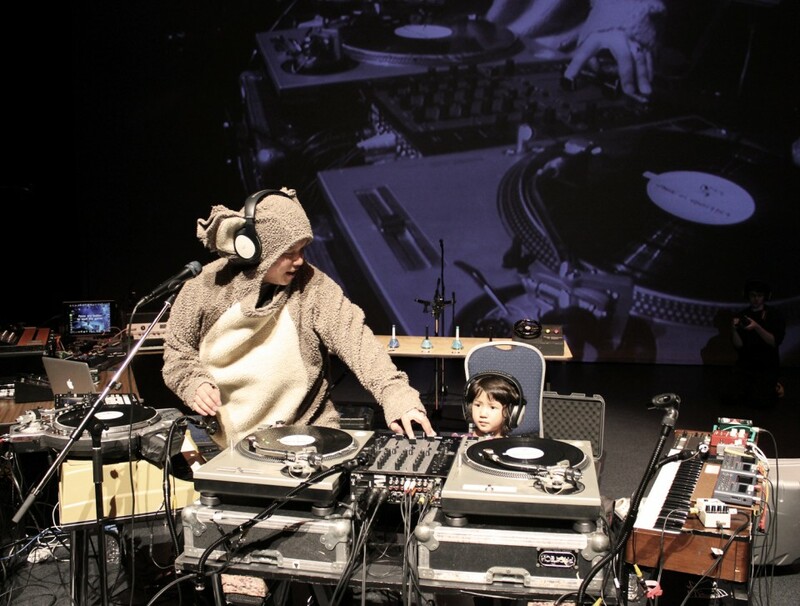 I talked to Kid Koala a.k.a Eric San after the show and he let me in on some details for the upcoming Deltron 3030 Event II – the sequel to the legendary Deltron 3030 album- which will be released in July, as well as, 12 Bit Blues another album coming out on Ninja Tune in the fall. Here is a song called “3 Bit Blues” which appears on the upcoming album 12 Bit Blues. You can also listen to a couple songs off the Space-Cadet album below [disclaimer: the tracks on this album are so relaxing, I haven’t been able to make it through the album’s entirety without being lulled to sleep]. If you have the opportunity to check out Kid Koala’s “Space-Cadet Headphone Experience” show, you should not think twice. I left the show feeling so inspired, that I immediately went home and turned on my MPC [MIDI Production Center]. After a 2 month creative drought, I quickly chopped up some samples, remembering how good it feels to create music you can call your own.